Q. Which library floors are quiet? The second floor is the quiet floor. If you are studying on a second floor, and you need to speak to someone, you should be whispering at a level where only that person should hear you. If you need a room where no one is talking, the Covino room is designated as a silent room. The first and third floors are meant to be low-volume as well. Group work is allowed but discussion should be made at the volume where only the group can hear you. 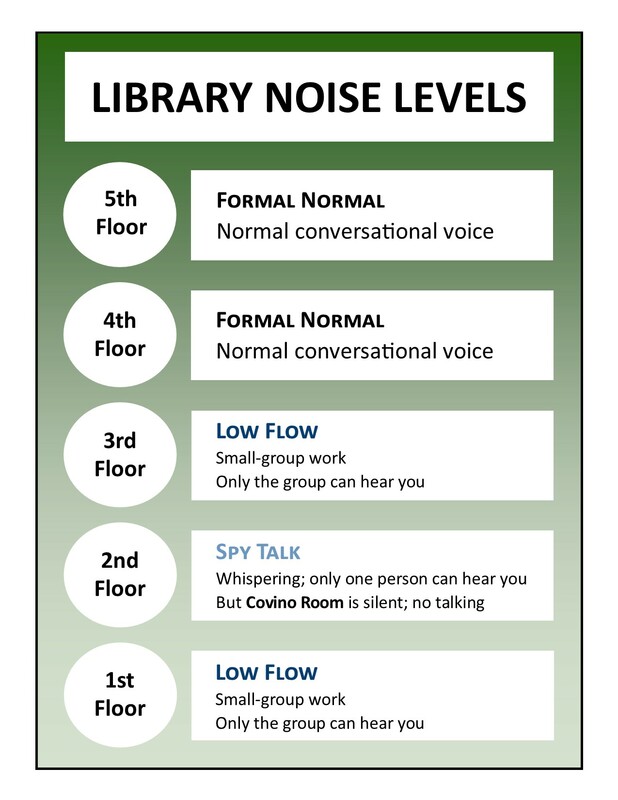 Please see the below chart for information on what floors are what noise-level in the library.